"I consider it a privilege to address the Fourth Convocation of this prestigious, Central Agricultural University having its headquarters at Imphal and jurisdiction over the seven North Eastern States of Manipur, Meghalaya, Mizoram, Nagaland, Tripura, Sikkim and Arunachal Pradesh. The University is also celebrating its Silver Jubilee having completed 25 years of service for the rural community since its establishment by an Act of Parliament in 1993. "On this auspicious occasion, I would like to begin by congratulating the students and scholars who received their degrees and medals today. It is a great feeling to be amongst brilliant hard working young people who are ready to step into their most creative years. Young boys and girls, as you step out from the comfort zone of the University, remember that the challenge ahead of you is quite big, but never bigger than your intrinsic potential worth. To excel on your new path, you need to pursue the excitement of intellectual curiosity. I am sure that with the application of knowledge and skills you gained during the past few years, you will make significant contribution in the nation building. While you must rejoice and celebrate your achievements, you must also realize the enormity of responsibility that has been placed upon you. I am confident that you will rise to the occasion and deliver service with sincerity, industry and dedication. I wish you all the very best. "The Central Agricultural University with its thirteen major campuses in the seven States has become over the years a premier institution of agricultural education, research and extension in the country. Opening of six new colleges, six multi technology testing centres, six vocational training centres, three new Kishan Vikas Kendras and creating new infrastructure and human resource with the support of Central and State Governments are indeed praiseworthy initiatives. The record of academic achievements of the University with 2nd position thrice in All India ranking in ICAR-JRF Examination, 13th rank out of 74 Agricultural and Deemed Universities in the country and recipient of FICCI Higher Education Excellence Award, 2018 is indeed a remarkable achievement. I must congratulate the Vice-Chancellor and the entire CAU family for these academic laurels. I am well aware that the University after facing several problems in the beginning is now making outstanding contributions in the region. It is most gratifying that the intensity of contribution of this University to the national talent pool is one of the highest in the country. "Agriculture has a significant role in the emergence and development of human civilization. It remains the lifeline and livelihood for more than 70 percent of the country's population. It is true that agriculture receives top priority in our policy formulation ever since independence and our Agricultural Universities are the focal points of agricultural growth and change. 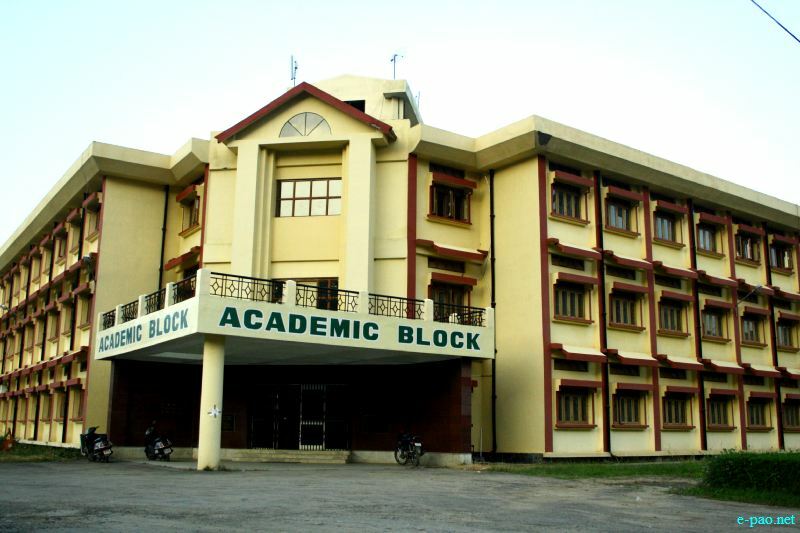 Central Agricultural University, Imphal has spearheaded agricultural education in the region for the last 25 years and made significant contributions in research and technology development. Whether it is development of high yielding crop varieties or women friendly equipments or producing knowledgeable graduates and scholars to harness the advances of technology or promoting farmer-friendly approaches in its extension programmes, this University has always been at the forefront. I wish CAU would continue to be a pacesetter in taking a multi-disciplinary approach to solve emerging challenges on the agricultural front and supplement the States' efforts in improving production and productivity. "In order to perpetually benefit from science-led growth of agriculture, agricultural education has to be in the forefront of building a scientific base and human resource capital for research and extension. Our agricultural universities have to play an important role in imparting quality education to students, making them professionally competent, socially sensitive and ethically strong. To harmonize agricultural education with excellence in science and technology, they have to undertake initiatives aimed at faculty and institution development, and reforms in governance and curricula. I am pleased to mention that the ICAR has launched the National Agricultural Education Project (NAEP) and the Fifth Deans Committee is already in action to improve and sustain the quality of higher agricultural education. "Agriculture is an integral part of hill farming systems on which majority of the population is dependent for their livelihood. Food production in the region is only about 5.89 million tonnes against the requirement of 7.5 million tonnes and it is not keeping pace with population growth. The area for expansion in agriculture is stagnant over a long period. Due to demographic reasons and development demands, per capita availability of land, water and other natural resources, which are already stressed, will continue to decline, making economic viability of farming a big challenge. Integrated farming systems to increase productivity, climate resilience and rural employment opportunities, especially of marginal and sub-marginal families will be needed to address such challenge. It is also necessary to aim at vertical expansion in production by improving productivity through improved varieties, management practices, value addition of products, market analysis and exploitation of new market channels. "Agriculture is faced with limited and declining availability of land and water due to the fast changing climate. Our approach to agriculture, therefore, needs to be redefined in the context of this changing scenario. We must take necessary steps to enable all farmers to adapt to and mitigate the impact of climate change through appropriate technologies and innovative practices that would improve the resilience of farming systems, thus enhancing the food security. Increased production will require enhancing productivity levels of existing resources, through increased input-use-efficiency leading to enhanced net returns to farmers and improving the terms of trade in favour of farmers. In retrospect, the Green Revolution had by-passed the vast rain fed areas, and also could not climb the hills. As a result, the hill agriculture in India could not progress as much. "This part of the country is gifted by nature with tremendous biodiversity and widely varying agro-climatic conditions. The region is known to have at least 8,000 flowering plant species, 700 species of orchids, 63 species of bamboo and 64 species of citrus and other fruits. Some of the citrus, banana and rice gene pools and nearly 50 percent of the total flowering plants in India are known to have originated in this region. The region has tremendous potential in organic agriculture, food processing, horticulture, commercial cultivation of medicinal and aromatic plants, floriculture and minor forest products. The advantage of organic farming needs to be exploited suitably through technical and institutional interventions and the North East should be developed as an exclusive economic zone for organic products. "Being the main stakeholder in agriculture, the farmers must be involved in all concerned decision making processes. Assured and remunerative markets hold the key to retain the interest of farmers in farming and also to attract the youth in farming. Farmers should be looked at as agri-preneurs who interact with corporate entrepreneurs, needing business models to be worked out to provide win-win options. Appreciating that agriculture is the biggest private sector economic activity in the country, we must move from 3Ps to 4Ps that is, public-private-producer-partnership. "Our youth will be the driver of India's growth in the years to come. Agriculture offers great scope to our youth to realize and lead a fulfilling career. There are many avenues within agricultural science which are yet to be fully explored namely specialization in broader areas of soil science, plant science, livestock management and food science to name just a few. The Nation needs a huge pool of skilled professionals to fully realise the potential of agricultural sector. Here, the role of Agricultural Universities is very important to meet the country's need with sound agricultural education. Our vision should be to make CAU a world-class University for agricultural studies and research. Much is expected from the faculties, scientists, research scholars and students of the University. They must strive to contribute their best to cultivate a safe and sound future for agriculture and allied sectors. I wish CAU will leave no stone unturned to achieve the goal.